Gone are the days when people who wanted to eat healthful, organic meals had to rely on cooking daily for themselves and their families. Today, the US has a delicious array of organic restaurants offering everything from fabulous organic fast food to delectable organic gourmet offerings. No matter which state you’re in, you can eat out and enjoy an organic meal. 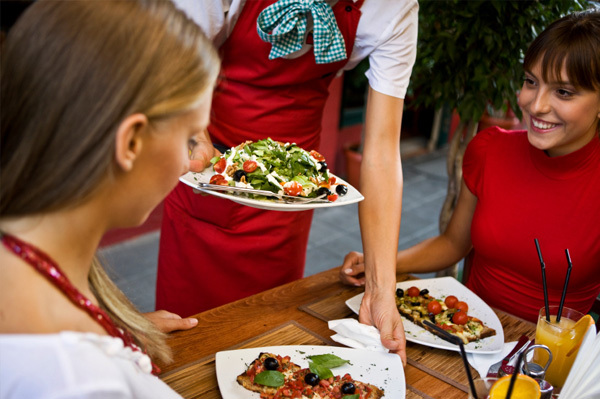 Here are 10 organic restaurants to consider. 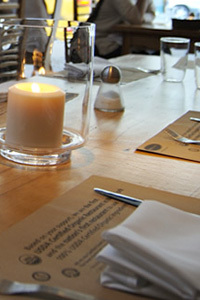 dining setting. You’ll find a juice bar and bakery offering fruit, yogurt, sandwiches, pizza, salads a variety of drinks and snacks, and much more. Find them online at organictogo.com. called airbaking, and their milkshakes are made from organic milk and sugar. Check it out at evos.com. lunch, brunch and dinner. Find out more at gustorganics.com. fresh and the meat is naturally raised. View their menu online at amandas.com. mouthwatering menu. You’ll find a Pizza Fusion in California, Arizona, Texas, Florida, Georgia, Pennsylvania and Virginia. Learn more at pizzafusion.com. offers organic catering services. Visit them at sellersmarkets.com. free-range turkey and chicken sandwiches, and more. 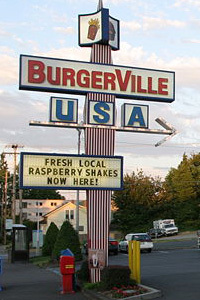 Burgerville has 39 restaurants in Washington and Oregon. See their full menu online at burgerville.com. wood-burning oven and wind power electricity. 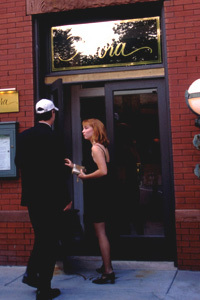 To find out more about this Washington DC eatery, visit: coppisorganic.com. drinks available. With fare that includes salads, a variety of burgers (from tofu to organic lamb), wraps, sandwiches, pizza, seafood, pasta and desserts, Organic Oasis has something for everyone. See for yourself at organicoasis.com.